Alright moody little compadres, you are probably wondering what the heck the ‘Blaze of Glory’ Salad is or at least why I have decided to call it that so let me explain. I have a love hate relationship with salads. I flippin’ love them but sometimes they don’t pack enough punch for me and they just aren’t hearty enough to be considered a meal salad. Husband is on his feet all day so when I say we are having salad for dinner I see the upper lip curl and his eyes rolling back in to his skull. For the most part, he is always a good sport but I can tell he just don’t love salad as much as me. Today i will defeat that perception, I won’t go down without a fight…I will fight to the death against dinners largest enemy…the meal salad. 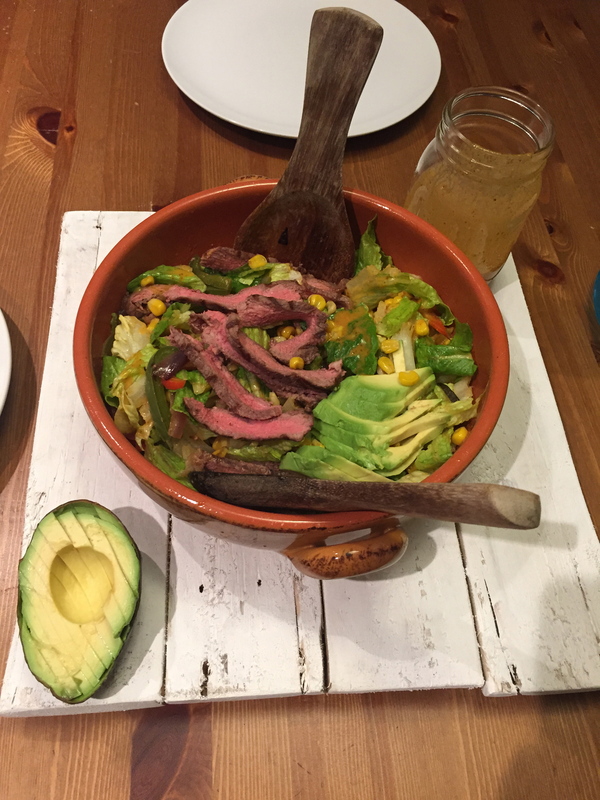 This amazing salad reminds me of a cross between a steak fajita and an amazing meal cooked over a campfire but in the form of a salad. That’s right…this bad boy is a crowd pleaser. Just picture good ole John Bon Jovi on top of a remote butte in the middle of the desert, strumming his guitar while the wind flows through his locks…thats pretty much how you are going to feel after eating this salad…a devil on the run, a six gun lover…a candle in the wind!! Alright, today i’m going to use some interesting ingredients to make the maple chipotle salad dressing as it’s truly the heart of the salad. I need to use up some chipotle peppers as I opened a can the other day and I really need to use up the rest of them. Here’s a little tip. Waste NOTHING. 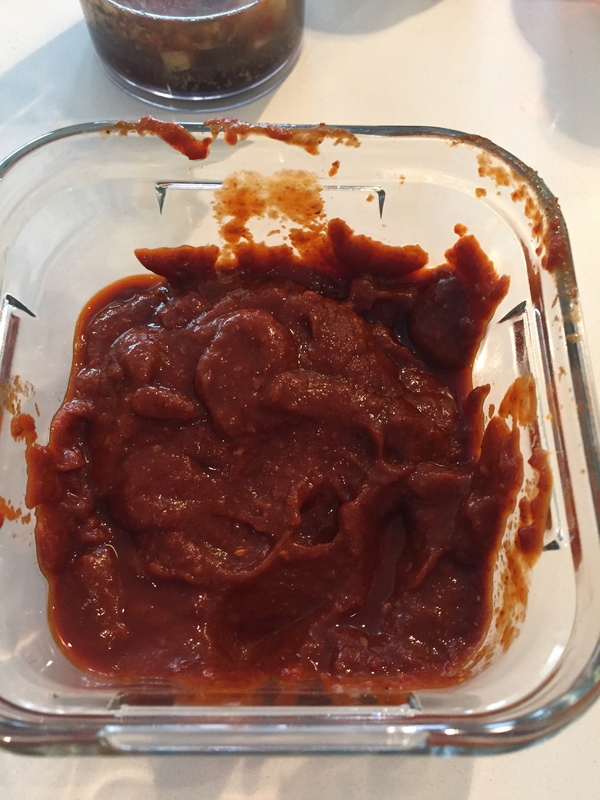 I decided to make a chipotle puree buy just throwing the chipotle peppers in adobo sauce in my blender and pulsing until smooth. Throw it in a container and let it hang out in your fridge. If you need a flavour boost for random things like eggs, marinades or making a salad dressing, this stuff kicks things up in the flavour department so it’s great to have on hand. 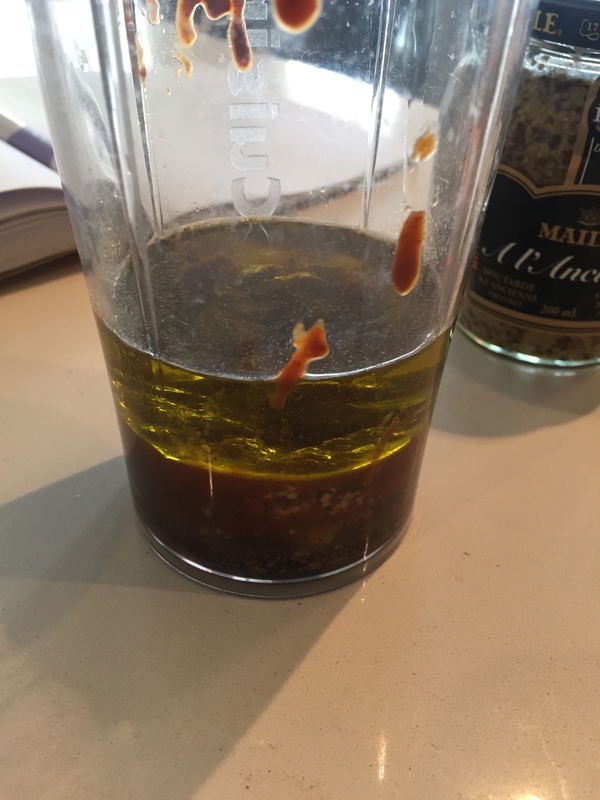 Okay so to make this dressing, you just throw all of your ingredients in the blender…garlic, cider vinegar, maple syrup, some of that chipotle puree, oil, salt and pepper, cumin and a bit of liquid smoke and blitz till smooth. 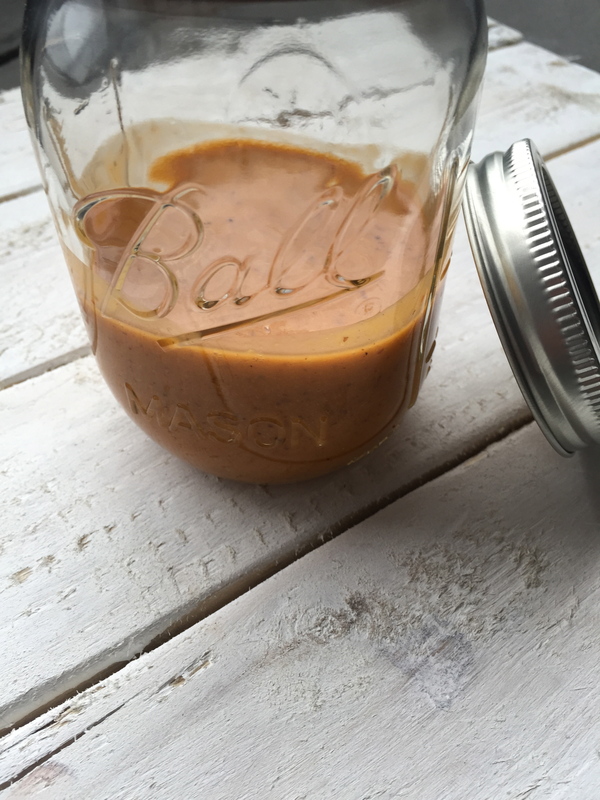 Liquid smoke is something that truly makes this salad dressing. 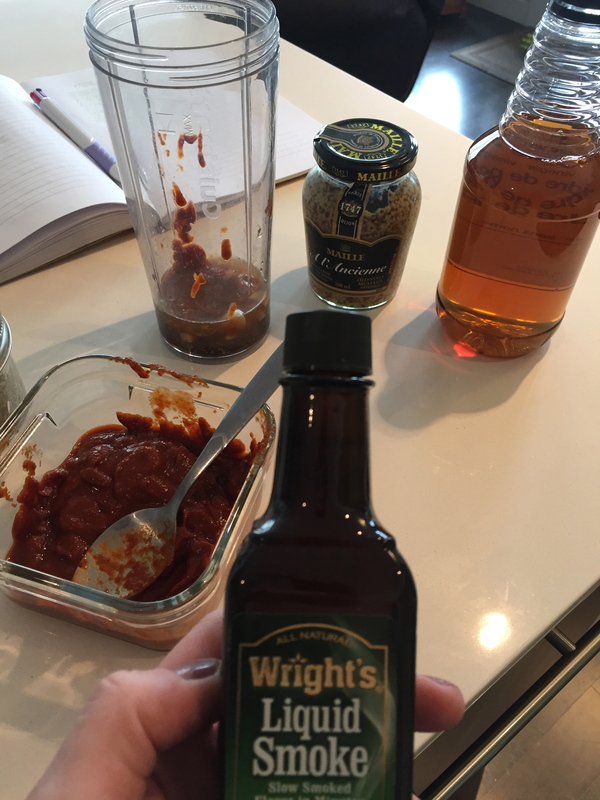 It’s not something I use often but a tiny bottle goes a long way and can really enhance things to make it seem like you have spent copious amounts of time bbq’g to get that amazing flavour. 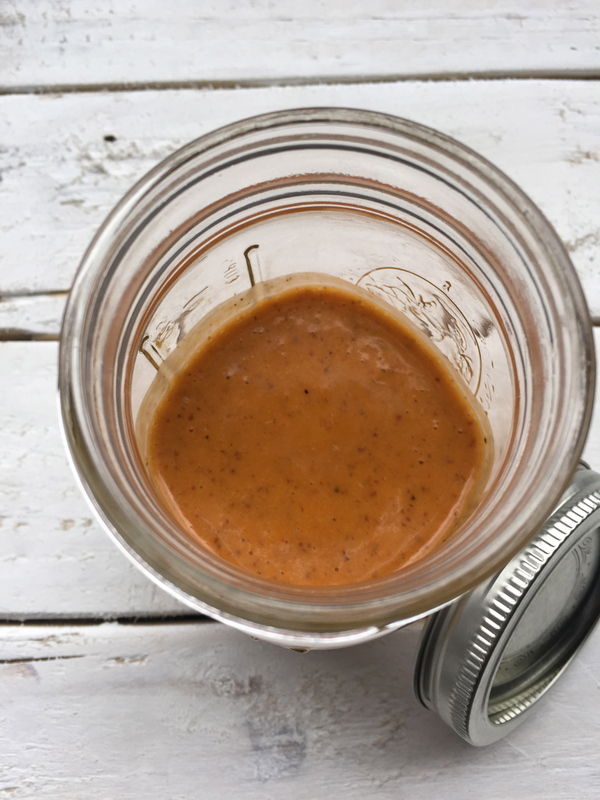 It’s great in Chilli, marinades, and of course this salad dressing. 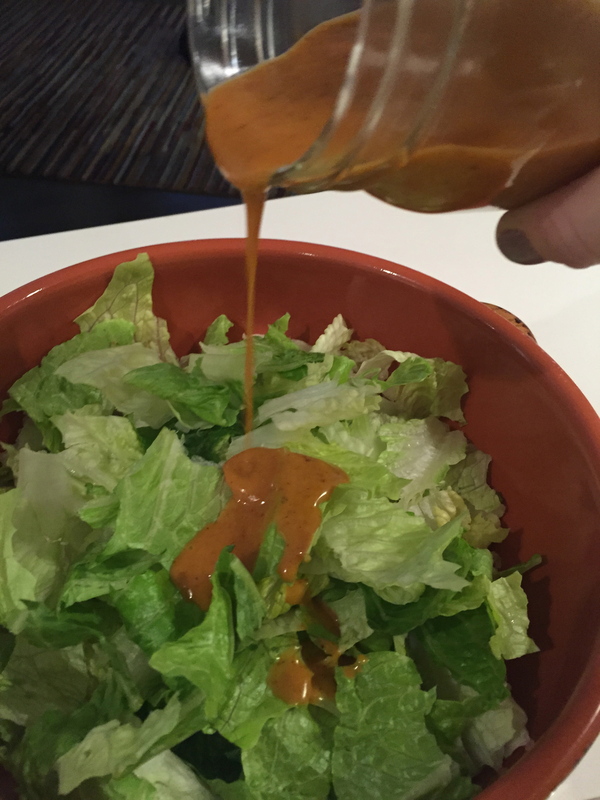 Here’s what it looks like when the dressing is finished. Had to post another pic of the dressing with my new homemade board that a friend made for me!! Peter V rocks!! Set in your fridge till later. It’s soooo flipping delicious. It has a bit of bite from the chipotle puree, sweetness from the maple syrup and of course a subtle smoky flavour from the liquid smoke. 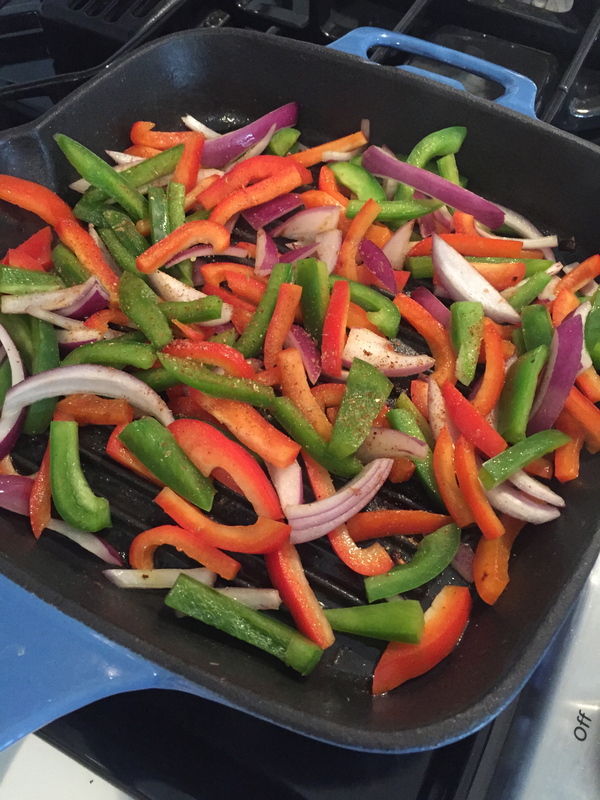 Next, I cut up a red pepper, green pepper and about a quarter of a large red onion in to strips and set aside. I also defrosted some corn niblets that I had in the freezer. 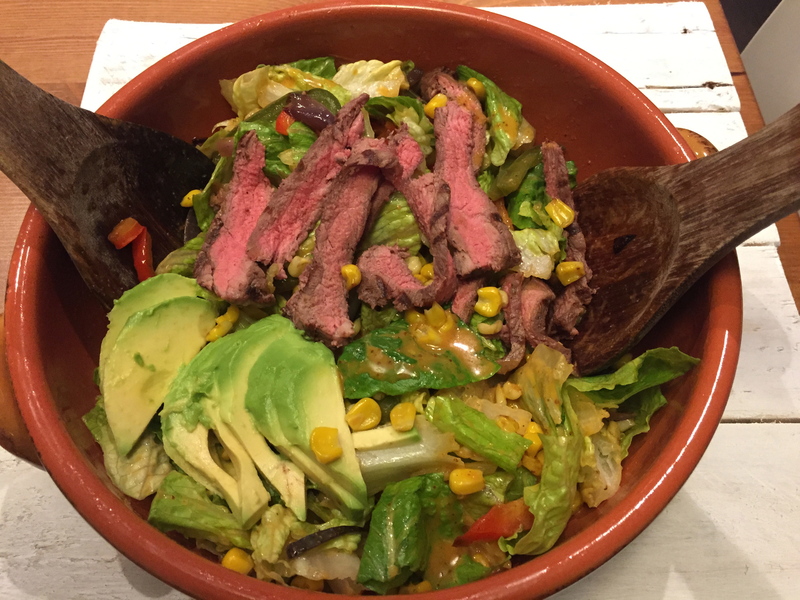 To make this salad extra cowboy esque, you are going to grill up the veggies to give them a charred kinda taste…so good. Seriously though, if you can’t be bothered, just use the raw veggies and you will be fine! 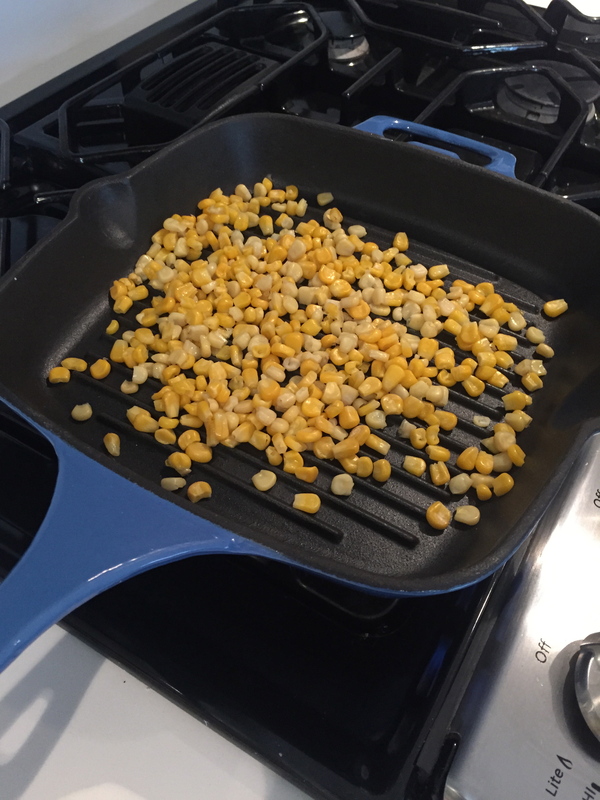 Grill in a dry pan on high heat until you see the corn begin to get some grill marks on it. 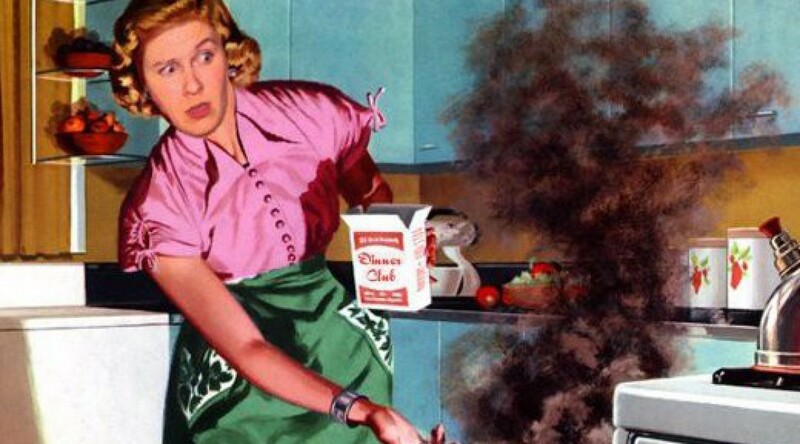 Now chop up your romaine lettuce, a bit of avocado and get some black beans ready. (I actually didn’t have any black beans on hand today surprisingly so I didn’t use them today). You will need all of these fixin’s to assemble your salad. If you want to keep it veggie, just mix it all together and add some dressing. 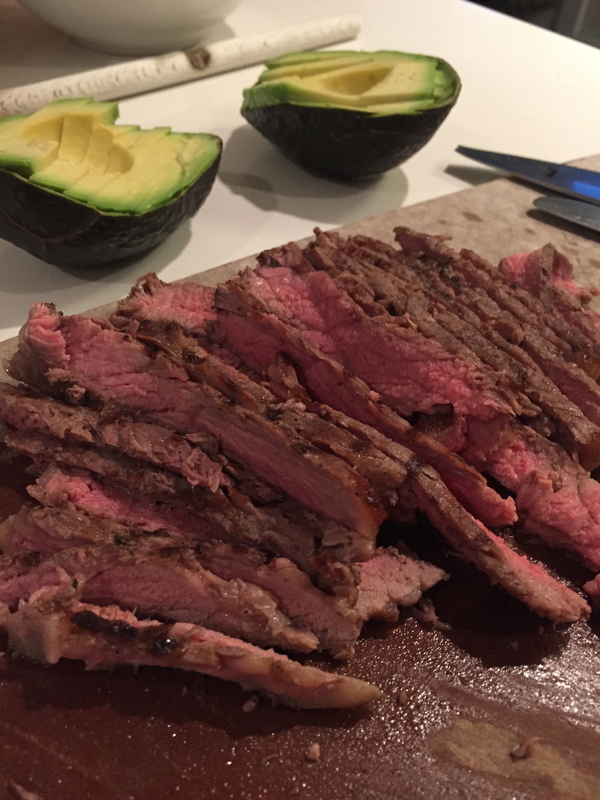 I personally wanted a little red meat today as I can tell that my iron is pretty low and I needed to boost my energy levels. 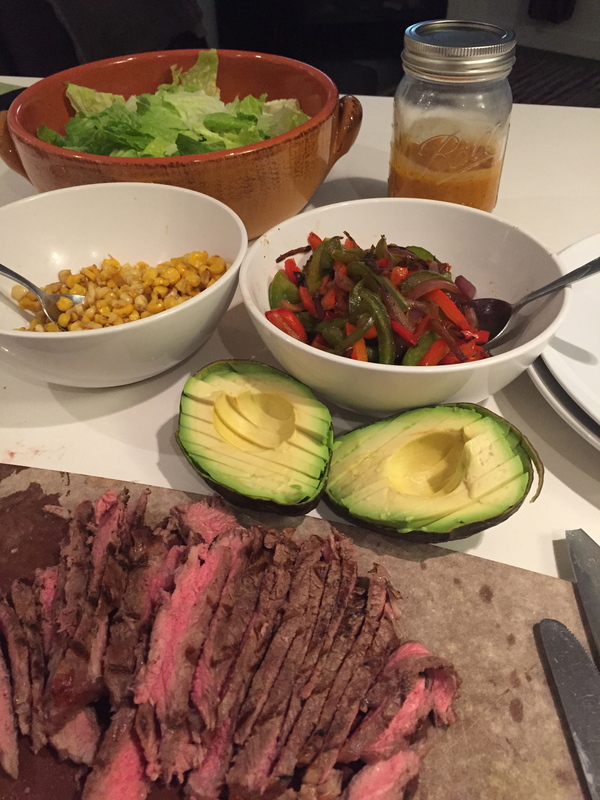 I grilled up a steak on the bbq to medium and then I let is rest for 10 minutes before I sliced it real thin for this salad. assemble and voila…you got yourself an epic MEAL SALAD that packs a punch. Such great flavour, you won’t believe it. This is an amazing meal that you could pair with some corn bread muffins or scones and it would be great for entertaining. Take it off the grill and then ‘tent’ it by covering it with aluminum foil for 10 minutes. This will allow the juices to stay within the meat and it will be delicious. After 10 minutes, remove cover and slice super thin. Assemble the salad with whatever fixin’s you like the most. This salad is super wicked and packs a wicked punch of flavour. I’m happy to report that Hubs thought it was wicked awesome and demo’d his entire plate and then went back for more. So this blaze of glory salad took no prisoners. I actually think I won the fight on the dinner salad. Moody for the win!!! Hands down best salad dressing ever. Perfect combination of flavour, tang, heat & texture! You nailed it!